Expatriate medical insurance and overseas travel insurance for those with U.S. Medicare – Part 2. Good Neighbor Insurance has been asked over the years how does U.S. Medicare work? Many of our long term, expatriate, clients who reside for many years outside the U.S. have some idea of how U.S. Medicare works but not fully. The team at Good Neighbor Insurance has decided to bring you, our clients, a three-part series all about U.S. Medicare. This is a good area to start learning about Medicare but not the end of your journey on this subject. One of the best web sites to learn more on Medicare is at https://www.medicare.gov. There are, for sure, a variety of other web sites that will have valuable information on Medicare. However, this one has a good overview of all four parts of Medicare. Just remember that Medicare Part A and Medicare Part B are through the U.S. government and the Medicare Part C and Medicare Part D is provided by insurance or other commercial companies. Having all four parts will provide you a complete medial insurance package for any future medical needs. 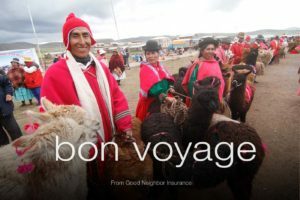 Good Neighbor Insurance is not an insurance company but an international medical insurance brokerage firm that specializes in coverages for outside of the U.S. or outside the country of your citizenship. 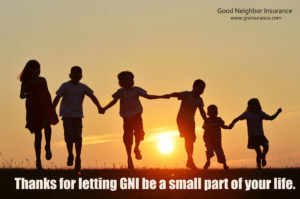 Good Neighbor Insurance provides a variety of international medical insurance solutions from travel insurance, expatriate insurance, international war and terrorism coverage, organizational group medical insurance, specialized adventure sports, international student insurance and many types of risk management solutions. Here are our web sites that have international medical insurance and risk management solutions for our clients around the world! One can get Part B at the same time as Part A. Or one can wait to get Part B. If one waits, then there is no penalty if one has an equivalent or better health insurance policy like an employer group insurance policy. If not, there is a 10% penalty each year one does not have Part B. 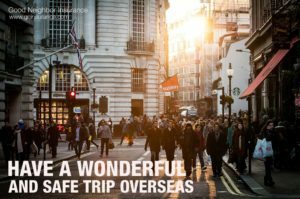 Living overseas is not a valid excuse or make you eligible for a special enrollment period or late enrollment. Part B cost around $135 (and up) per month. A great web page for more information on this is https://www.medicare.gov/your-medicare-costs/costs-at-a-glance/costs-at-glance.html. Only for outside hospital costs, minus Rx. (2) Preventive services: Health care to prevent illness (like the flu) or to detect it at an early stage, when treatment is most likely to be effective. Learning Tip – If an individual is enrolled in Medicare part A, he or she will be automatically enrolled in Medicare part B. However, enrollment in Medicare part B requires the individual to pay for premiums. Should the individual not wish to be enrolled in part B, he or she is allowed to refuse the enrollment. Individuals who are over the age of 65 and not eligible for Medicare part A must meet certain conditions to be eligible for Part B. The individual must be a U.S. resident. The individual must be a citizen or alien who has been lawfully admitted for permanent residence with 5 years continuous residence in this country at the time of filing. Fun Tip – Does Medicare Part B cover Rx? No! Only Part D or if you bundle your Part C MA (shown below) with Part D.
Fun Tip – Will Medicare Part B cover all ambulance service? Answer – No! Only to the nearest appropriate medical facility that is able to give you the medical care needed. Medicare Part A and Medicare Part B together cover around 80 percent of all medical costs in the U.S. minus outside the hospital Rx. There are 3 enrollment periods for Medicare: An initial enrollment period, a general enrollment period, and special enrollment periods. For any “eligible” individual, the initial enrollment period lasts for a total of 7 months. ends on the last day of the third month following the month of birth. There are two other enrollment periods throughout the calendar year and they are dependent on your situation. Here is a good place to start to learn more about enrollment time frames – https://www.medicare.gov/sign-up-change-plans/get-parts-a-and-b/when-sign-up-parts-a-and-b/when-sign-up-parts-a-and-b.html. Fun Tip – In order to be eligible for Medicare Part B you must be a U.S. Citizen or lawful permanent resident for 10 years? Answer – No! You have to pay for this benefit though through different methods. The best way to learn more about that is go to www.medicare.gov. Here are other ways to learn more about U.S. Medicare – (1) Apply online at Social Security (2) Visit your local Social Security office (3) Call Social Security at 1-800-772-1213 (TTY: 1-800-325-0778) and (4) If you worked for a railroad, call the RRB at 1-877-772-5772. Fun Tip – Are dental services covered under Medicare Part A and Medicare Part B? Answer – No! This option covers the 20%-25% that Medicare Part A and Medicare Part B does not cover. Rx outside the hospital is covered under Part D, shown below. Two options with Part C.
Medicare Advantage (also called MA) for the most part regulated by each State. Learning Tip – You do not have to get Part C and will not be penalized if you do not select it. Part C provides what Part A and Part B does not cover. There still are deductibles, copays, and coinsurance (OR no deductibles, coinsurance and copays on these two major options) – depending on what you choose. However, MA plans most likely will include copays, deductibles, and coinsurance. We’ll explain both options next. Has no “networks” limiting the doctors you can see. Can be used by any medical facility taking Medicare. Out of the different options, Plan F is usually the most comprehensive. Medicare Gap does NOT cover you overseas. Yes, there is 50k maximum medical coverage (if you choose a plan like Plan F), but read the fine print. There is a coinsurance of 80/20 which means the policy holder would pay 10k of the 50k and a deductible of 250USD (deductible as of 2017). You are responsible for all bills above and beyond $50k. There is also NO evacuation coverage. Plus, the medical care is only for the first 60 days of the trip. Again, medical evacuation is not covered which is why the U.S. State Department strongly recommends travel insurance, and Good Neighbor is listed and recognized by the U.S. State Department website. Around $110 – $130 or so per month for one age around 65, non-smoker. U.S. Congress sets the benefits, so no difference between insurance companies. If one chooses Plan F, there are no copays, no deductibles required in most situations. In Network only. Out-of-network you are on your own and must pay for yourself. Between $0 – 80 per month. Best for those who are okay being seen by doctors in a small network, and want a lower policy cost/benefits. Learning Tip – Medicare pays a fixed amount for the insured’s care each month to the companies offering Medicare Advantage Plans. These companies must follow rules set by Medicare. However, each Medicare Advantage Plan can charge different out-of-pocket costs and have different rules for how the insured receives services (like whether the insured needs a referral to see a specialist or if the insured has to go to only doctors, facilities, or suppliers that belong to the plan for non-emergency or non-urgent care). These rules can change each year. Fun Tip – Who offers Medicare Advantage (MA) plans under Medicare Part C? Answer – private companies approved by Medicare. One does not need to get Medicare Part C. There is no penalty for not getting Medicare Part C.
However, if one does not get Medicare Part C during open enrollment (3 months prior, the month of, and 3 months after ones 65th birthday) then one will have to wait till the end of each year for the policy to start January 1st of the next year. Annual open enrollment is around mid-October to mid-December for a January 1 start of the next year. Medicare Parts A, B, and C will cover 100% of medical cost (minus any deductible or copays depending on what you choose) minus Rx outside the hospital. 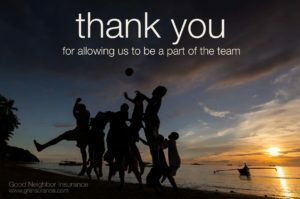 Blog Home > International Travel Insurance > U.S. health insurance laws relating to International health insurance > Expatriate medical insurance and overseas travel insurance for those with U.S. Medicare – Part 2.